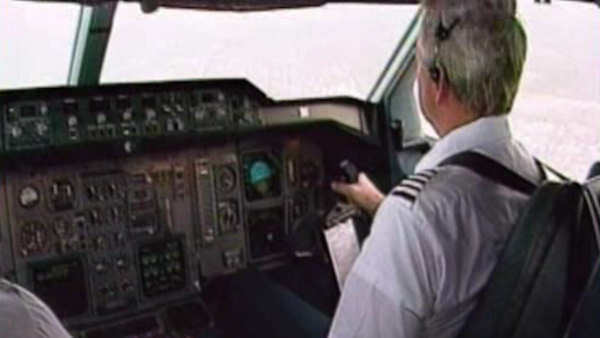 BROOKLYN -- A state lawmaker from Brooklyn plans to propose legislation that would require pilots departing from New York airports to submit to a breathalyzer test before takeoff. Assemblyman Felix Ortiz, a Democrat, said that the life and safety of pilots and the "flying public" must be protected. Recent reports of pilots flying drunk spurred Ortiz to draft his bill. An American Airlines pilot failed two sobriety tests before a flight from Detroit to Philadelphia and was charged with being drunk in the cockpit. An Alaska Airlines pilot was accused of being drunk when he completed a recent trip from California to Oregon and back. Ortiz has previously proposed legislation that would ban restaurants from using salt in foods and another that requires skiers to wear helmets.